Through the association website means secure attendee login credentials, plus only valid attendees can register. Helps attendees prepare before the event, and caters to participants who bring laptops or notebook computers rather than smartphones to educational sessions. Security and regulatory compliance are major concerns in the banking industry. 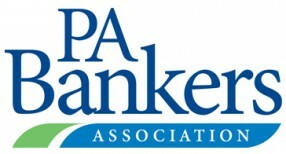 JUJAMA’s software allows PBA members to enter the conference platform via the association’s website, using their login credentials. This ensures that participants’ login data is encrypted and secure, and that everyone logged into the event platform is a legitimate participant in the association event. "Our members love the online conference interface. People check the agenda, make notes, anything they need to do, without having to also consult their phone. Having both the online interface and the mobile app really makes JUJAMA stand out from other event apps." "Due to regulatory concerns, PBA did not want to use JUJAMA's automatic meeting request and scheduling capabilities. Connie Ferraro, Director, Information Technology for PBA, said, "We asked JUJAMA to customize a limited contact database for our attendees, populated with select information from registrations, and they did. This helps us comply with regulations while still allowing attendees to find the colleagues they want to meet with." Craig Best, CEO of People's Security Bank, found the contact database very useful. Mr. Best said, "If I saw someone I wanted to connect with at a session, but was not able to speak with him when the group broke up, I just called up his contact information in the event app and reached out to him to set up a meeting later on."